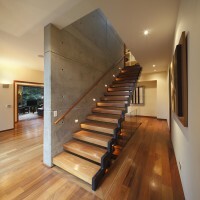 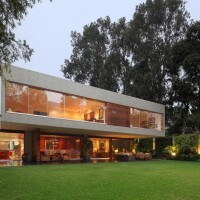 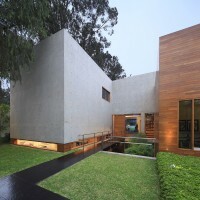 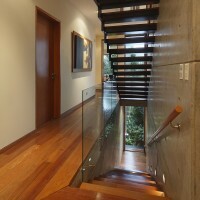 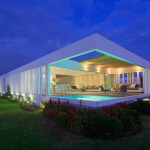 OZ Arq have designed House H, a home located in the outskirts of Lima, Peru. 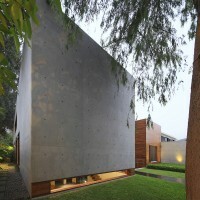 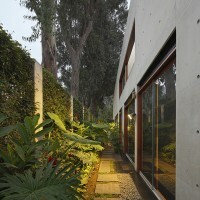 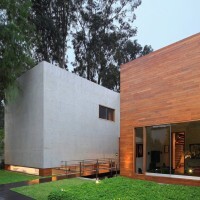 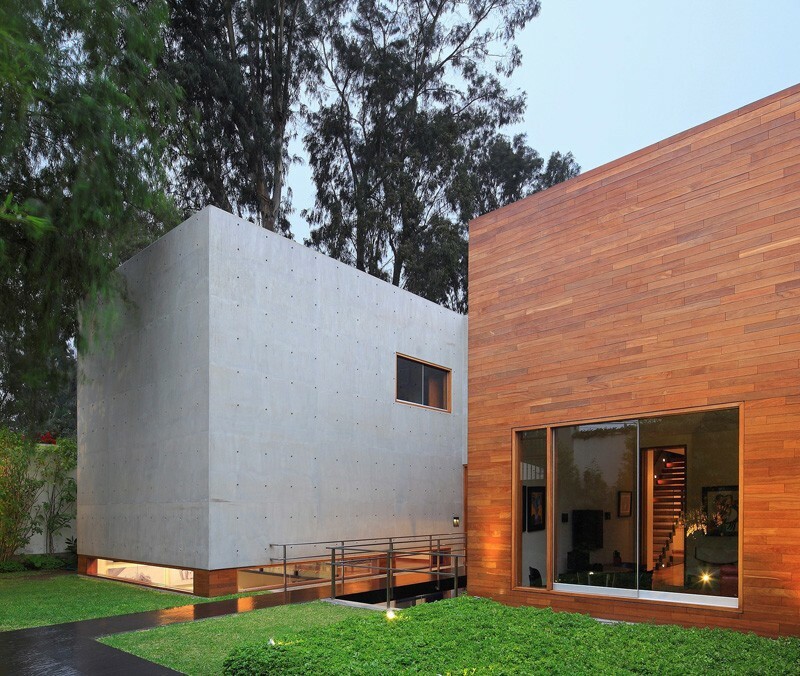 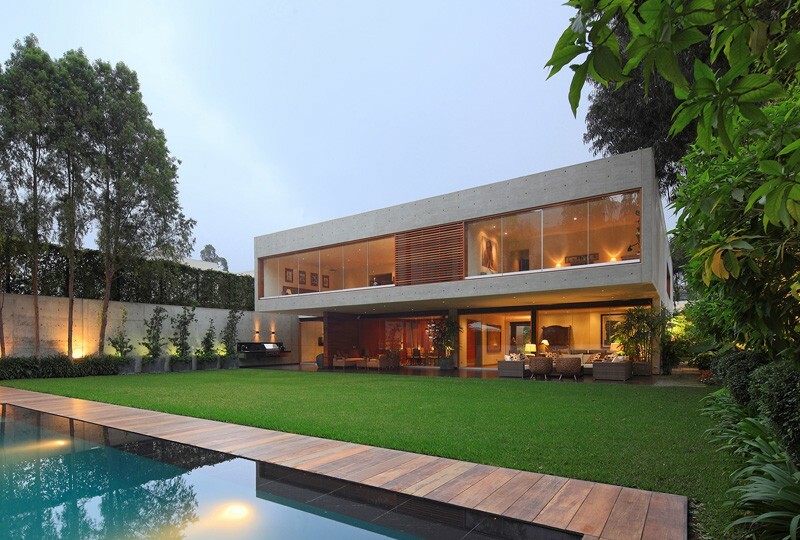 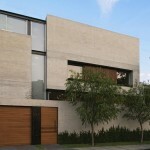 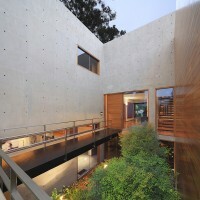 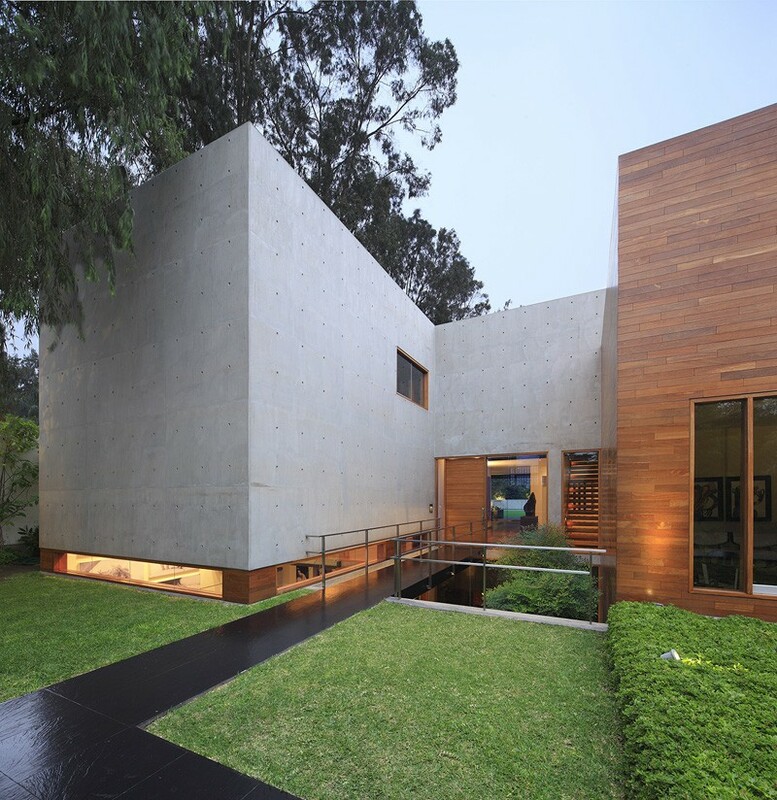 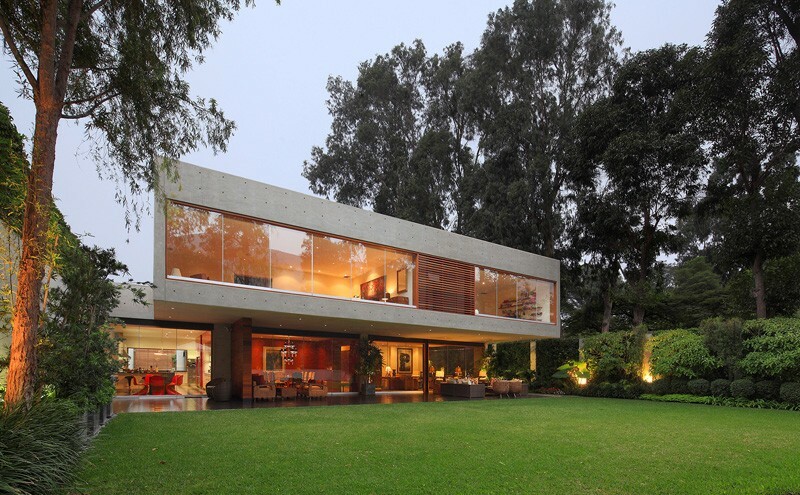 House H has been developed on a 1,000 m2 plot, on a busy road in the outskirts of Lima. 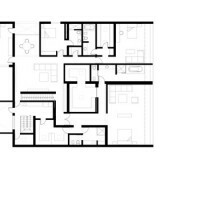 The project developed as an architecture that analyses and recognizes the context, generates paths and handles an extensive program while keeping as much open space for landscape as possible. 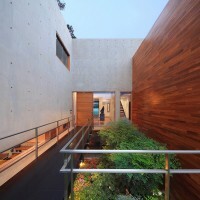 The proposal responds to the request of the owner who sought for privacy by turning its back to the street and facing towards the garden and the hills behind. 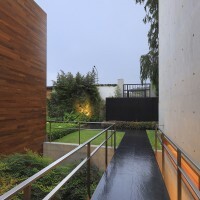 The access to the house is through a bridge over a sunken garden that works as a moat and transitional space between the exterior and the interior at the same time that becomes a light source for underground studio and living areas while emphasizing the entry way hierarchy. 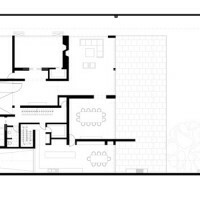 To gain more garden space the house was developed as a three level structure; the study, play room parking, and service area were built underground, while on the ground floor the living room, dinning, kitchen and office open up in search of views of the landscape. 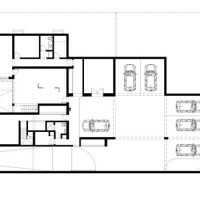 On the second floor of the house you find the private spaces around a family room, controlling the views and maintaining its privacy. 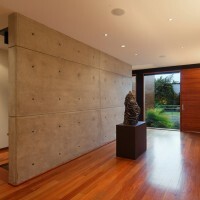 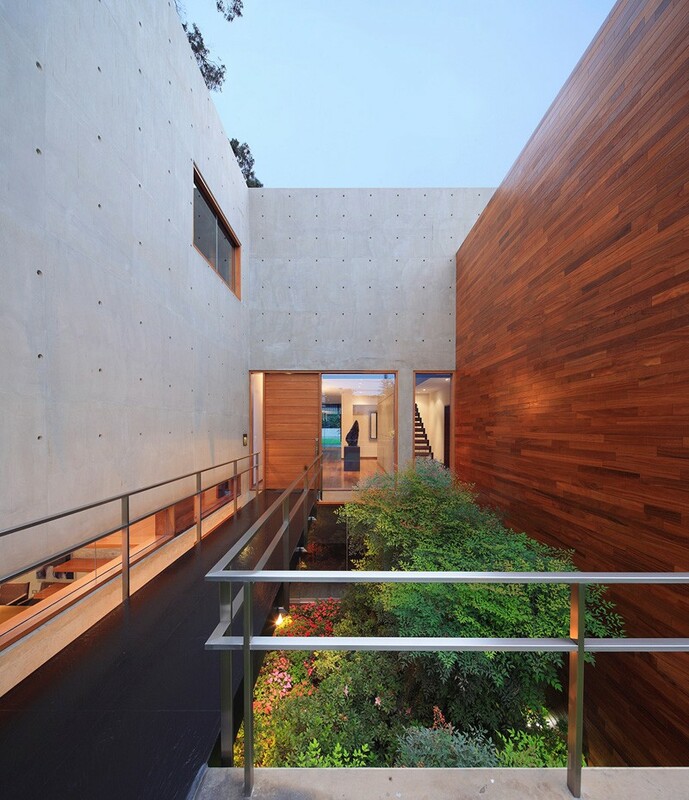 The house was built completely in concrete and steel to express its structural characteristics and plasticity allowing it to be molded in to volumes that intertwine creating voids to generate light and defining the interior and exterior spaces.